Ontario has once again tweaked its Electric Vehicle Incentive Program, excluding plug-in hybrids (PHEVs) or battery-electric vehicles (BEVs) with an MSRP of $75,000 or more to qualify for a rebate. But it added hydrogen fuel cell vehicles to the list. The province also says incentives will no longer be provided for PHEVs or BEVs leased for fewer than three years. The changes went into effect March 9. Under previous rules of the program, qualifying green vehicles priced at $75,000 or more were eligible for a $14,000 rebate, paid for by the province. 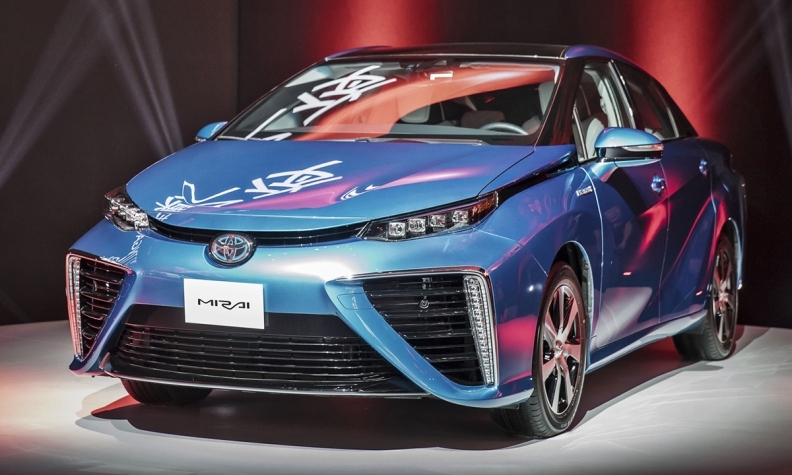 The program now also includes incentives of up to $14,000 for eligible hydrogen fuel cell vehicles, whether bought or leased. Rebates on electric vehicles still vary based on several factors, including range and seating capacity. But the province adjusted how rebates are calculated. Vehicles qualify for $3,000 to $10,000 based on all-electric range; plus $2,000 to $7,000 based on the vehicle’s seating capacity. The total rebate is capped at $14,000. The province says it has provided more than 15,000 incentives with a total value of over $150 million since 2010. It has provided an additional $2.5 million for the installation of more than 3,000 home charging stations since January 2013. Rebates will continue to be provided under the previous incentive structure as long as the qualifying vehicle was ordered prior to March 9 and is delivered, and the application submitted, by Sept. 7. Ontario Ministry of Transportation spokeswoman Courtney Anderson said changes to the program were needed because electric vehicles have evolved since the incentives were first introduced. The program hasn’t been without controversy. In 2016, CBC reported that Ontario paid $800,000 in the form of EV rebates for cars with six-figure price tags. That $800,000 included five payments, at an average of more than $5,000, for one of the most expensive cars ever manufactured — the $1.1-million Porsche 918 Spyder. A year later, the program rules were changed so cars with MSRPs of $75,000 to $150,000 were eligible for rebates of up to $14,000. In 2017, Progressive Conservative Kitchener-Conestoga MPP Michael Harris called the program “a Liberal green scheme” and “costly vanity project” once Automotive News Canada reported dealers were owed millions in rebate payments. Several dealers front the money for the customer because the majority of vehicles are financed. Dealers were waiting months for payments, and some were owed nearly $1 million. The province has since started paying off that debt through a new electronic payment system.